UPDATE: Vans South Africa has noted that the Vans X Bowie range is available in South Africa, going for R1100 and R1500 depending on style. 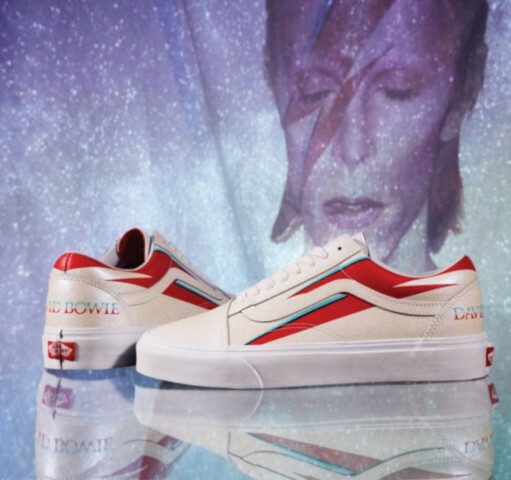 David Bowie was as much a fashion icon as he was a musical one, so it makes sense that Vans uses the Thin White Duke as inspiration for a range of new sneakers, shirts and caps. A few new David Bowie sets have now been revealed as options in the Vans X Bowie range, with this batch commemorating six more stages of his career. The Vans X DB Sk8-Hi Platform 2.0 combines the legendary Vans lace-up high top with Bowie’s iconic red platform shoes from his Ziggy Stardust phase. 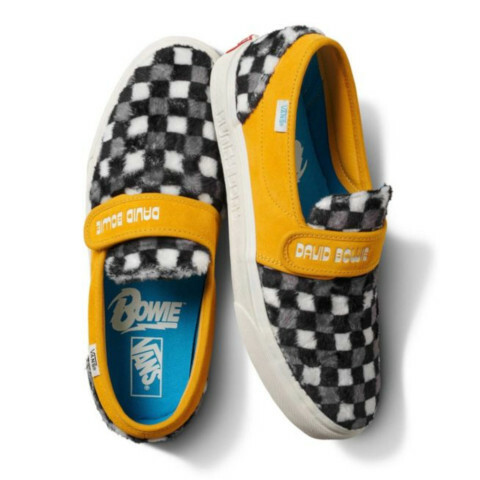 We’re quite fond of the Vans X DB Slip-On 47 V in a mustard yellow, with the exact font from the 1971’s Hunky Dory album adoring the sides. If you need something perhaps a bit odder, or dotty for that matter, the Vans X DB Era is your go-to sneaker. This one pays tribute to the 1969 Space Oddity album cover, where Bowie took a more of a folky turn. The Vans X DB Sk8-Hi to us looks more like one of Vans’ regular lace-up high tops with the Bowie logo from the Ziggy Stardust era emblazoned on the side. Bowie’s lightning bolt face is on one of the most iconic album covers ever – Aladdin Sane. 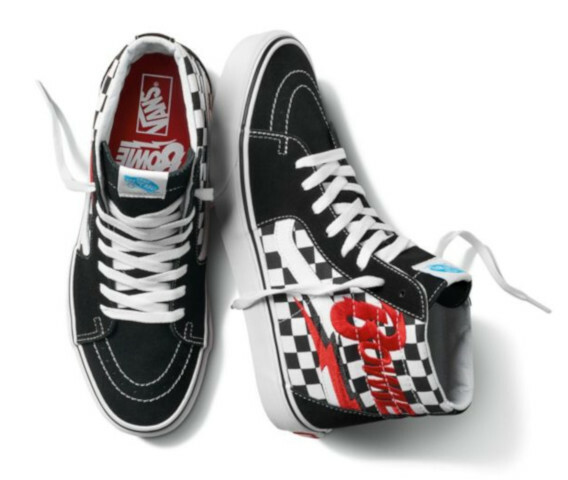 The music on the album is perhaps less so, but we do love the Vans X DB Old Skool skate shoe that has the lighting on the side. Finally, in 2016 Bowie released his 25 and unfortunately final album - Blackstar. 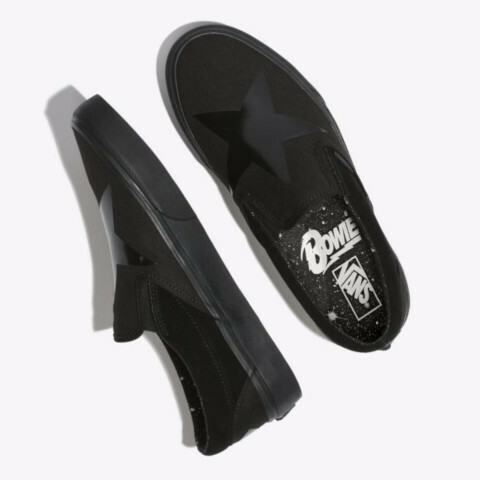 This is commemorated with an all-black Vans X DB Classic Slip-On that subtly displays, well, the black star. We’ve not received confirmation that all these new Vans will be coming to South Africa. Across the pond the David Bowie collection will pop up in shops today and range in price from $70-$85.